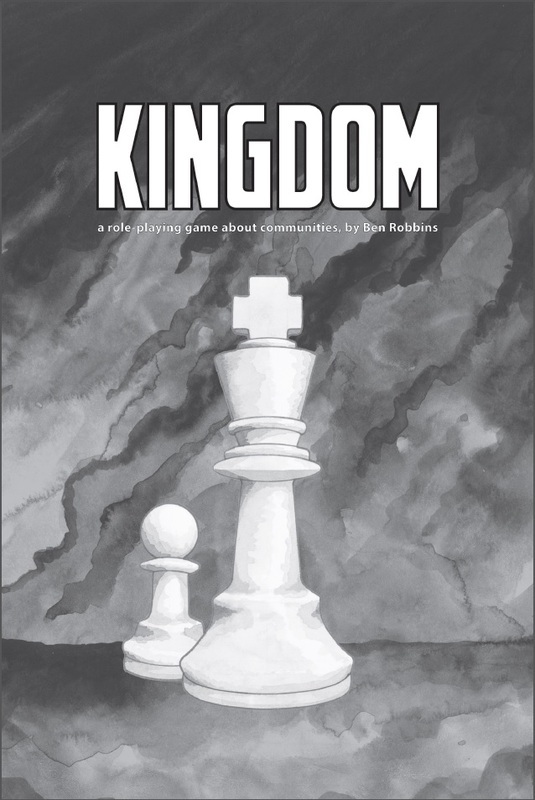 Last week we finished two sessions of Kingdom, Ben Robbins’ rpg about challenges to communities. It’s one of my favorite games, despite flawed sessions and rough patches. I’ve played it nine times now, and each session has been radically different. 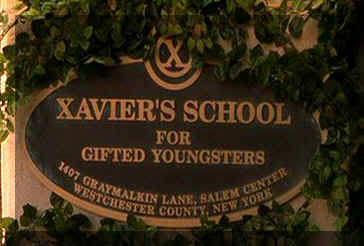 For our most recent game, we tried out my homage to X-Men framework, Xavier's Kingdom for Gifted Children. I dug it, though I see some needed tweaks. Kingdom’s what I’ll call a Scene Calling game; maybe it’ll catch on. Usually they’re GMless. On a player’s turn, they have the authority to set the scene: what’s going on, where they are, who is present, etc. Implicitly or explicitly they establish what the scene’s about and maybe even the stakes. The group- in part or whole- then plays out that scene. After that it moves on to the next player. Often there are mechanisms to ask to enter, intrude into, take control of, or reshape a scene outside this sequence. It depends on what the game’s going for. While these games might seem loose, some of them have tight and involved mechanics. I’ve played several scene-calling rpgs- Kingdom, Fiasco, DramaSystem, Durance, Before the Storm, the Shab-al-Hiri Roach, and Questlandia. I own others I haven’t gotten to the table: Downfall, Follow, Primetime Adventures, Last Best Hope. I think these all fall into this category. Some have randomization mechanisms. Questlandia has a whole set of dice challenges to track and ultimately shape how everything resolves. Fiasco’s set up and tilt build on random tables. The Shab-al-Hiri Roach has cards dealt to players which can create twists. Others rpgs track authority and control, like DramaSystem, Durance, and Before the Storm (to a certain extent). Kingdom has no randomizer. The main “game” mechanic is a timer which counts down to either a decision point or a collapse. That makes it looser than some. But sometimes it doesn’t feel that way. 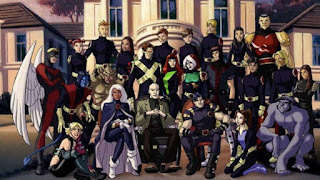 To begin with, each player has a character and a role. You can be Power, which means that you’re associated with authority in the Kingdom. You can directly or indirectly cause heavy things to happen in the fiction. (Jailing, Censure, etc). You can be Perspective and set the consequences for the choice the Kingdom makes at the decision point. Or you can be a Touchstone and be able to state what the community’s feeling. They’re abstractions, but each role has a concrete power. In Kingdom we playing to find out what happens at a Crossroad and how that impacts the community. A Crossroad’s a Yes or No choice—does the kingdom do X or does it not do X. Examples from my DS9-inspired seed: Expend resources searching for the station shuttle we lost contact with? Turn to black market sources to support the station? Declare independence from the Confederation? That binary phrasing’s underpins the game’s play. For example in our session we had a dangerous mutant-only drug in the school. Our crossroad was: “Will the school carry out an undercover investigation?” If we decided on another kind of investigation, then the answer to that question would be No. That’s important because of the pressure the Perspective can build. Any time a Perspective character’s in a scene, they may establish something that will happen with the Yes or No choice. So with the crossroad above, they might write “Students lose faith in the administration” or “A network of informants develops” under Yes. Or maybe No. Where they put that says something about the setting. Multiple Perspective players may create radically different predictions. These might even contradict one another. That’s OK because at the end of a round we go through these: things might change or we might have to develop fiction to reconcile them. When one of the countdown tracks has been filled, the round ends and we move to resolution. We have two tracks with boxes equal to the number of players +1: Crossroads, meaning that we’re getting closer to getting that choice; or Crisis, meaning what’s happened in the scene is tearing the community apart. If the latter happens, then all bets are off. A player adds a checkmark to one of the two when their scene finishes: Usually a round ends with the Crossroad track filled. At that point, the Power makes the Yes or No choice. Then each Perspective goes through their predictions and says whether each one comes true or not. They negotiate contradictions if they can. Finally the Touchstone says how the community as a whole feels. Then we talk about what happened. But there’s more mechanically complexity than that. Sometimes you’ll disagree—like if we have two Power players. The game systems to resolve these disagreements. Resolving the Perspective’s predictions is an obvious place for dispute. It can also happen in play if someone makes a declaration or use of the power that others object to. To solve this, we have structure negotiation. The disagreeing player states what they’re objecting to and the desired change. The other player can say yes, no, or yes, but with a demand. That can settle things or it can escalate, in which case a player has to usurp another player’s power-- changing both their roles. Players can also change roles voluntarily, if they meet certain conditions and justify it in play. But those are the basics—and I’m leaving out some mechanics. Having played this bunch, I’ve cobbled together some impressions. If you’ve played Kingdom, I’d be curious if you agree or disagree with them. Keep in mind I love Kingdom, though I’m not entirely sure why. I know I dig the idea of communities in rpgs: from crunchy mechanical tracking to this higher level thinking. But I don’t think that’s it alone. If you want to see our actual play, you can check that out here (Session One; Session Two). Lack of Challenge: In all the times I’ve played Kingdom, I haven’t seen a challenge or a usurpation. Players usually want to work with what other players establish. They’re used to saying yes. In my first couple of sessions teaching this, I kept challenges off the table for the first crossroad. That may have been a mistake. I think I’ve seen players change roles once or twice, but it’s pretty rare. Black/White: Some players have a hard time with the binary of the Crossroad. They want the kingdom to do something different, but they also don’t want to answer “No.” That’s usually because of the predictions under that side. The Heroes of the City AP above has a strong example of that problem. Lonely at the Top: If you’re teaching the game, you’re more likely to be in the Power role. It’s the least interesting on the surface. The other two have stronger seeming in-play powers. Power also represents authority. Some players like to rebel and some don’t like be responsible for what happens. It isn’t always true, but be ready for that. Fight for Your Write: How aggressive players are in using their Perspective and Touchstone abilities will shape your session. The Perspective creates the stakes. If they’re constantly adding predictions, they deepen the situation. Make sure the Perspective player knows that they get to choose which of their predictions come true at the end (assuming they’re still in the Perspective role). That gives them more freedom to add things. I’ll come back to the Touchstone’s impact later. Speed Up: Ben Robbins has made a couple of rules changes since publication. You used to have a third countdown clock, “Time Passes.” That became the refuge of the hesitant. It stretched out rounds unnecessarily. Cutting that and some of the other character bits speeds up play. I used to put a hard limit of four players on a Kingdom session. I think with these changes it could accommodate five and not feel bloated. What Can I Do? Getting what the Roles do can be tough. It’s more difficult online than in person. At a f2f game, you can give everyone a bookmark with their role definition and powers. Online you can provide those, but they don’t give the same weight or focus. New players online can be uncertain about when and where they can use their role’s power. Stoppages: That in turn creates a problem with game flow. After a scene, you pause to check in. The scene caller has to think about what happened and mark one of their tracks. But they have the opportunity to their power. That presents a couple of choices, depending on the role. Plus, if other PCs were in the scene, they can use their role power, so you have to check in there. The teacher/moderator often needs to remind players about, adding to the break’s length. It can get longer if players choose to do a Reaction. Short Cuts: A reaction’s a short, maybe thirty second, cut away. In it you narrate your character’s reaction to the changes or decisions from the scene. If a player does a reaction shot, they can also use their Role ability. In games where I’ve talked about Reactions as a play element, either players don’t use them or every player uses them. I’m not sure what the happy medium is. The former means we lose an interesting tool. The latter means the breaks between scenes extend and break the flow even more. Again, I suspect this may be a function of playing and teaching online. Feeling Heat: The Crisis option can be difficult to manage. The idea is that all of our characters want the kingdom to survive. We might want it to change or go down a different path, but we all need its existence. When I teach the game, I describe it as “reverse Fiasco.” Instead of looking for cool ways to have everything blow up, we’re looking for dramatic moments of keeping the community together. If we fill the Crisis track, everything gets smashed and we have to do a reset. In that event things can be destroyed, characters die, and most importantly we clear the work for the round. That means the Perspective loses their predictions and the Power loses their choice. Not As I Do: That’s a matter of framing, specifically framing from the person who is teaching the game. I’ve found how I describe those two tracks affects how players mark them in a round. My new approach is to stress that checking the Crossroads track means that we’ve moved towards the dramatically logical decision point. If we were watching a movie, we’ve gotten closer to a crucial scene of drama. I stress that checking the Crisis track means that things have gone really, really wrong. People are actively and aggressively working against stability now. But that explanation creates another problem. What’s a Meta For? It means we weirdly focus on the “meta” content of a scene. Instead of the events of the scene, we focus its place in the larger story. At least we do for the Crossroads, maybe less so for the Crisis. That explanation may make a player’s choice even more difficult. 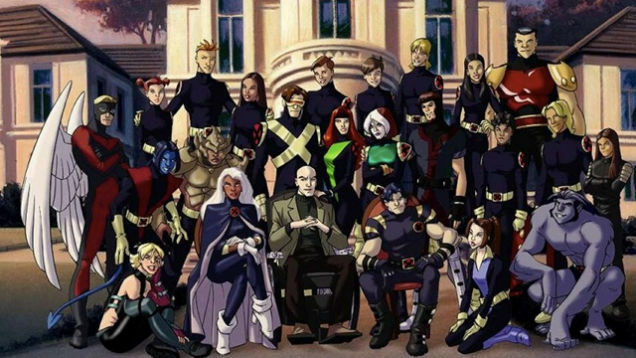 It reflects one of the larger challenges: switching back and forth from character-level to meta-level. Your Role choices and decisions aren’t necessarily from your character’s viewpoint or actions. They can be, but they’re distanced. It’s another switch that some players have trouble with. It can throw people off if we end an emotional scene and suddenly we have to zoom out to give a reading on it. Stonecutting: Also if you downplay the Crisis track as I have, you undercut the Touchstone. It’s something I often forget. A Touchstone player can and should be using that track to get what they want. They can add to it faster or remove checks. They should be doing that. I used to think the Touchstone was the weakest Role, but then I saw someone use it as a hammer to shape others’ choices in our pseudo-BSG game. Mea Culpa: Then again, all of this may also be a function of my play style and/or way of teaching the game. It sounds like I’m being negative about Kingdom. I’m not. Instead I want to get it right. I’ve had some amazing moments of play with it. I love, love the way predictions and crossroads work. That’s so good. I love it when the Touchstone realizes they can use Crisis as leverage. It clicks when the players work to find a balance between opposition and cooperation. Kingdom’s a game I’ll keep coming back to, maybe not as much online, but definitely f2f. I just want to get better at teaching and moderating it.